Jace, one of the three River brothers was introduced in Jaxon, book one of this series. There were indications that he had issues with his wolf and all is revealed in this second instalment. Jace is in the security business with his two brothers, Jaxon and Jared. Despite his difficulties with his wolf, he keeps his sense of humour and is very loyal to his pack mates. He is also very kind and considerate but that doesn't mean he suffers fools gladly. Piper is from the Wilding pack and lives up to her name but is this projected wild personality her coping mechanism? She is feisty, independent and a loner but when it comes to her brother Noah, she won't leave any stones unturned to protect him. She sets out to find the reasons behind his disappearance and this is where she meets Jace. Not the usual first encounter! Jace is determined to help her, especially as he is aware of who and what might be involved from what took place in Jaxon's story. Will she accept his help? The plot thickens as more evidences of the conspiracy behind the disappearances come to light. A dark and dangerous situation, indeed! The interactions between Jace and Piper become easier and when the reasons behind their issues are revealed, their relationship intensifies and becomes somewhat steamy hot. With what transpired in their pasts, can this relationship develop into something more? 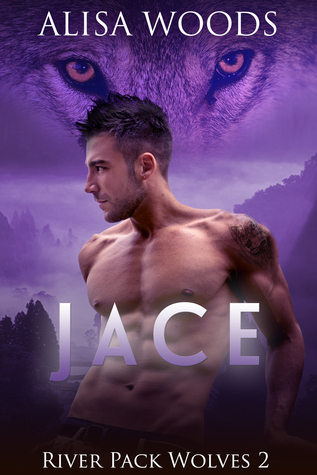 I enjoyed Jace's story as much as I enjoyed Jaxon's. Even though some of the mysteries are resolved, there is more to come and I look forward to reading Jared's story to see how it all ends. I would fully recommend this series which is nicely paced and full of action, mystery, love, loyalty and greed. It shows to what length some are willing to go for the sake of power!